New orders for manufactured durable goods increased 3.4% to $235.9 billion in April, following a 1.9% increase in March, according to the U.S. Census Bureau. The majority of the month’s increase was driven by an 8.9% increase in new orders for transportation equipment. 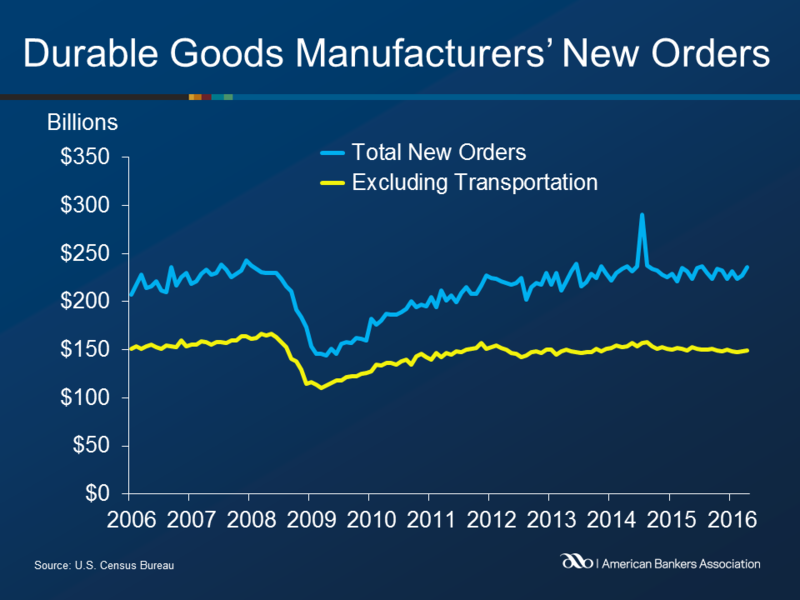 Excluding transportation, new orders increased 0.4%. New orders excluding defense increased 3.7% on the month, as orders of nondefense aircraft and parts grew by 64.9% to $16.9 billion. Nondefense capital goods also increased, rising 7.8% to $73.6 billion in April. Shipments of manufactured durable goods rose 0.6% in April to $232.5 billion, following two consecutive monthly decreases. Inventories of manufactured durable goods fell 0.2% to $384.4 billion, following a 0.2% decline in the previous month. Inventories have now declined for nine of the last ten months.